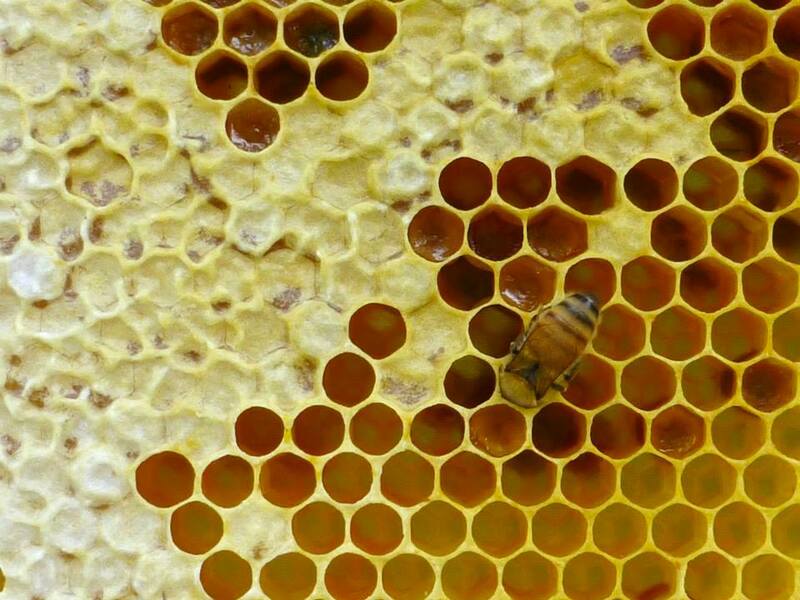 A honeycomb is made from wax produced by bees, and shaped into near perfect hexagons. The comb is not only a pantry for storing honey, it’s also the bee’s kitchen, nursery, bedroom and dance floor. 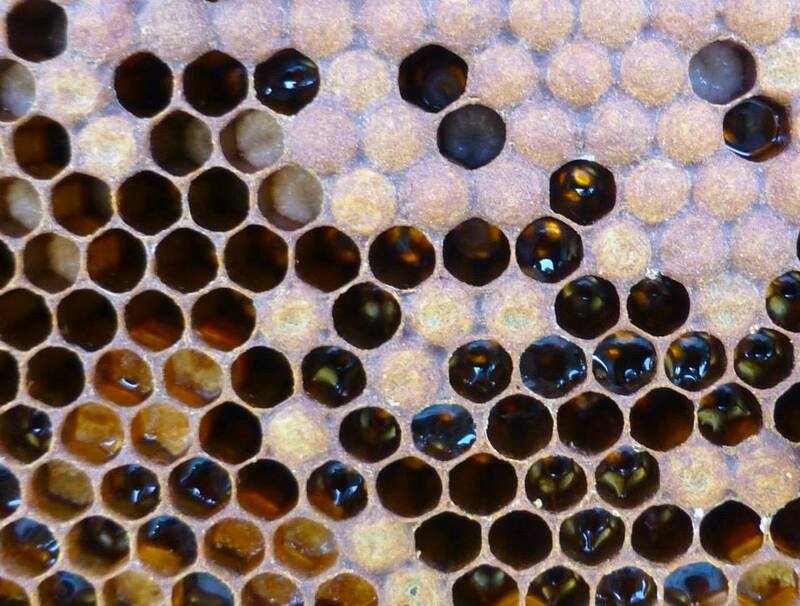 This photo shows cells in the comb used to store honey – the bees put a layer of white wax ‘capping’ over the honey to preserve it. This next photo shows cells used to raise baby bees (the white larvae are visible in some cells). These larval cells are then capped so the bee can develop into an adult. Lovely photos by artist Claire Beynon (click to enlarge). This entry was posted on Saturday, December 2nd, 2017 at 12:02 pm	and is filed under Bees, Science. You can follow any responses to this entry through the RSS 2.0 feed. You can skip to the end and leave a response. Pinging is currently not allowed.